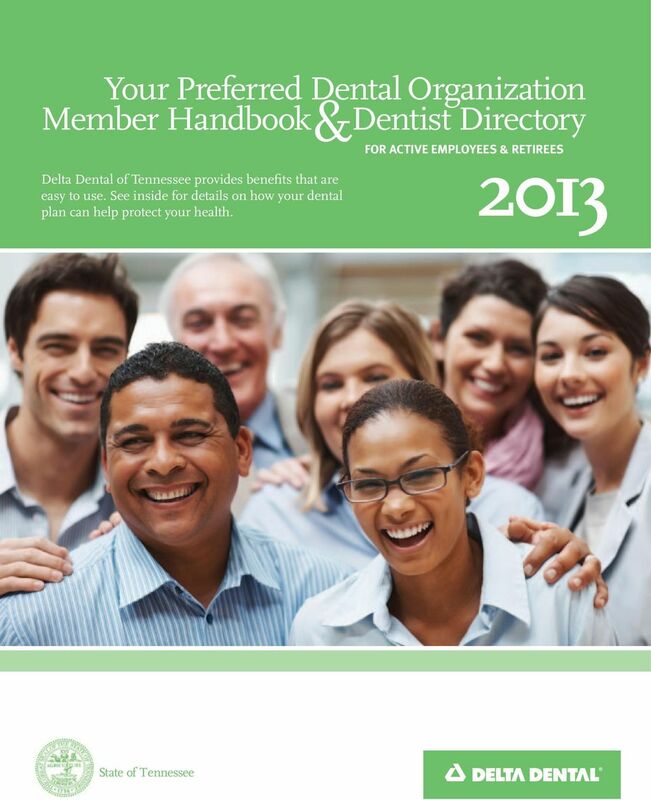 Download "Your Preferred Dental Organization Member Handbook Dentist Directory"
Your Preferred Dental Organization Member Handbook Dentist Directory & for Delta Dental of Tennessee is committed to providing benefits that are easy to use. These benefits will also keep you healthy. 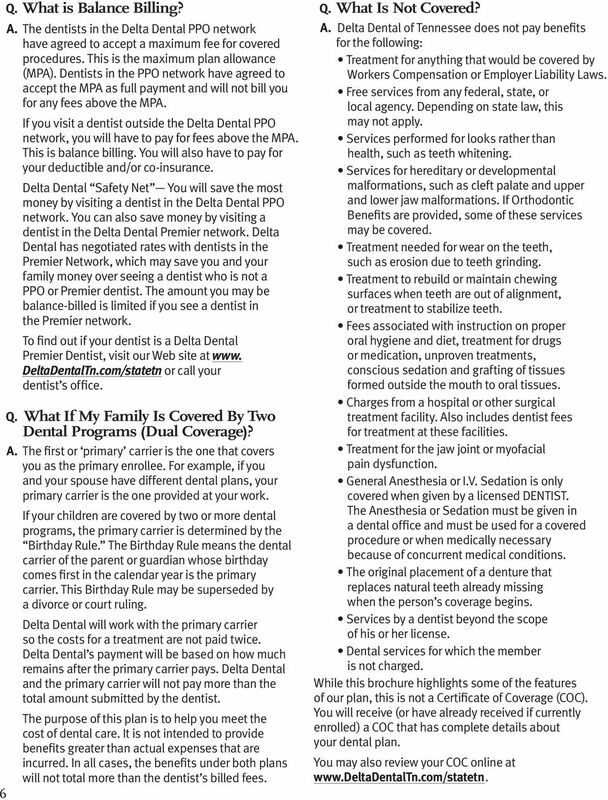 Delta Dental Individual and Family Dental Plans EHB Certified DELTA DENTAL OF NORTH CAROLINA You ll benefit from: Freedom Enjoy access to two Delta Dental networks Delta Dental PPO and Delta Dental Premier. Choice, Service, Savings. 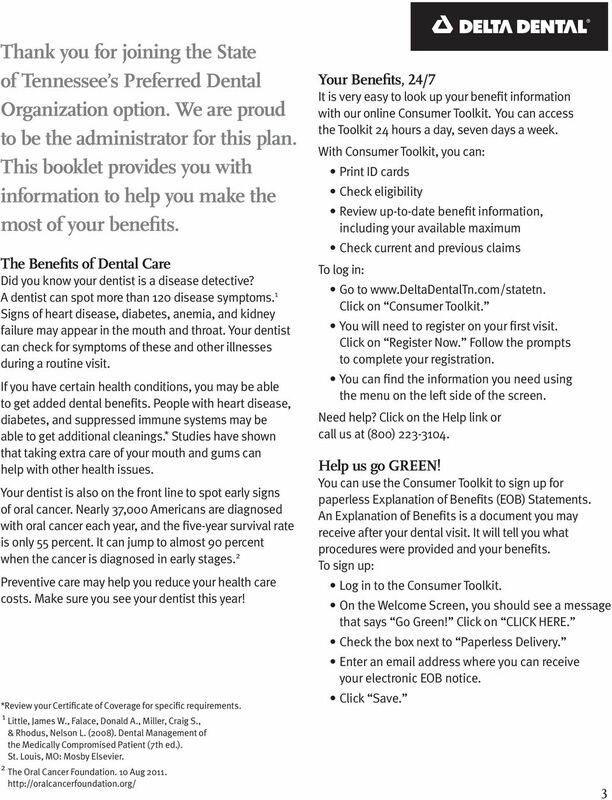 To help you enroll, the following pages outline your company's dental plan and address any questions you may have. Plan Design for: Unitarian Universalist Association of Congregations Effective Date: October 01, 2002 Amendment Effective Date ± : January 01, 2013 Date Prepared: January 01, 2015 Choice, Service, Savings. A Group Dental For: Florida State University Student Dental Plan Coverage Effective Date: January 1, 2014 BlueDental Plans BlueDental SM plans are offered by Florida Combined Life Insurance Company, Inc.
Small Business Solutions Dental Benefits and Insurance Plan Options Florida Dental benefits plans and dental insurance plans are offered, underwritten or administered by Aetna Life Insurance Company (Aetna). Individual Dental Insurance From Delta Dental of Wisconsin Be your own individual with dental plans from the most trusted name in dental benefits. Plan designs and rates subject to change without notice. 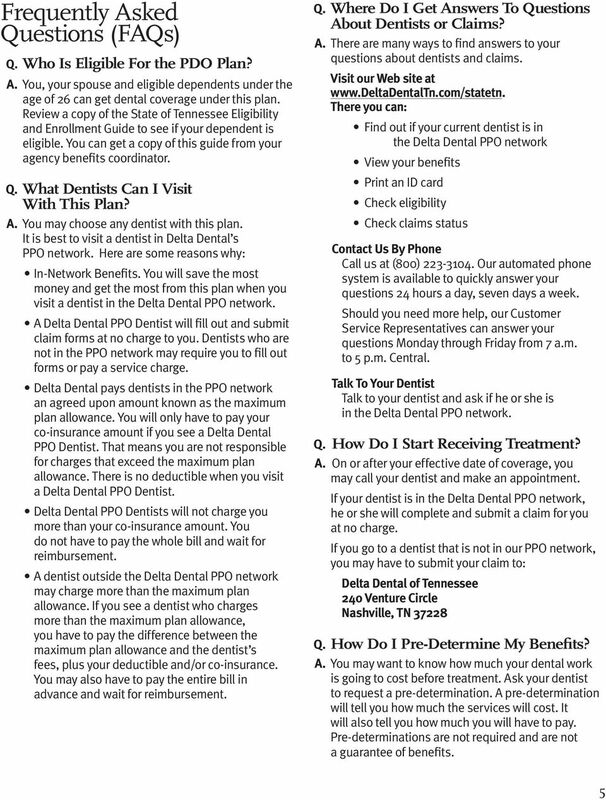 Arkansas State Employees Association & MetLife Are Pleased to Offer Dental Benefits to Participating Members To enroll, please complete and return the enrollment form to ASEA in the enclosed return envelope. Delta Dental PPO. University of Michigan Dental Plan. Our national Point-of-Service program. Welcome! Delta Dental Individual and Family DENTAL AND VISION PLANS AT A PRICE THAT WILL MAKE YOU SMILE. 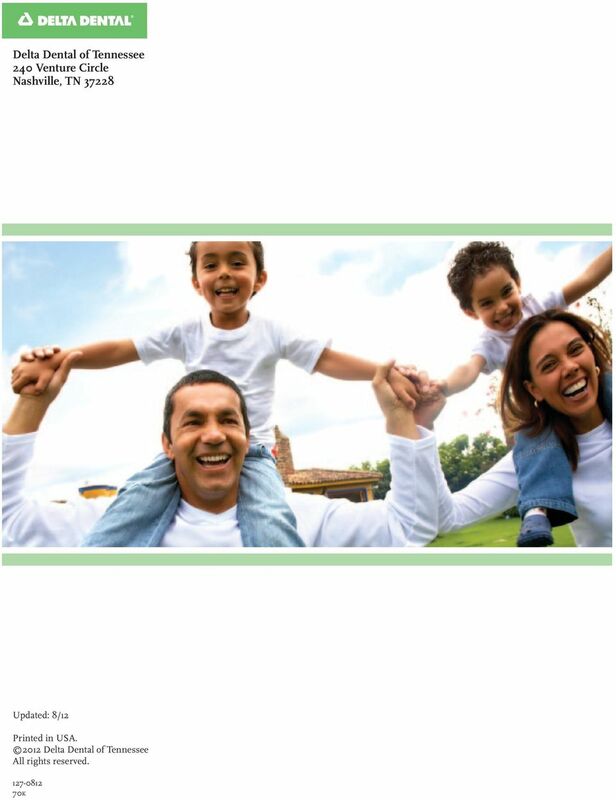 Welcome to the growing number of people who receive fully insured dental benefits from Delta Dental of New Mexico. 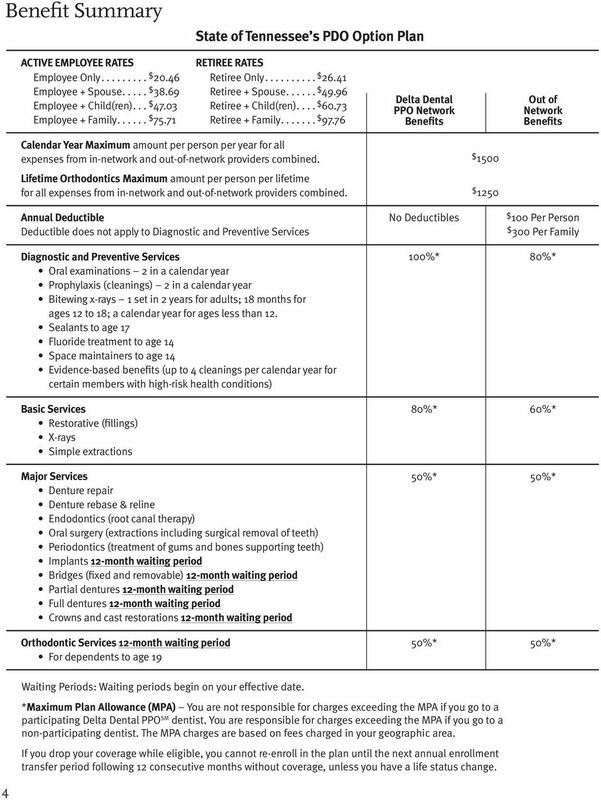 Am I eligible to enroll in the Delta Dental of New Jersey Yale Graduate & Professional Student dental plan?